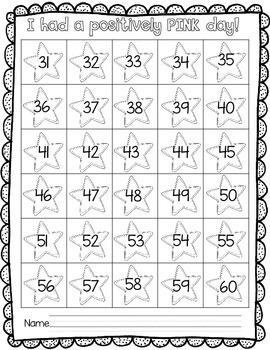 I created this resource for one of my kindergarten peeps at work. She wanted a way to motivate her tiny people to “make today better than yesterday.” We want to teach our students as early as possible that yesterday’s mistakes do not have to repeat themselves – you can always turn things around. 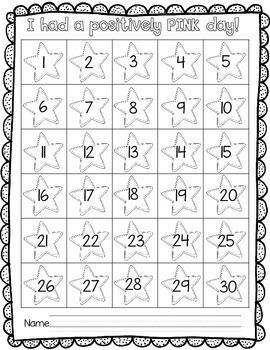 She used these sheets in their Leadership Notebooks. 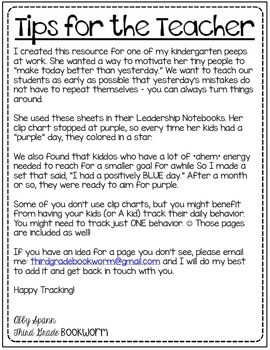 Her clip chart stopped at purple, so every time her kids had a “purple” day, they colored in a star. Tracking pages for "blue" and "pink" days are also included. 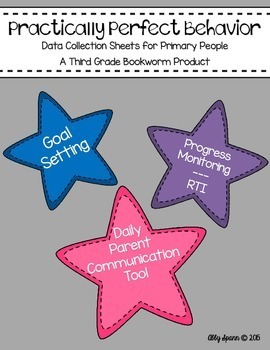 Some of you don’t use clip charts, but you might benefit from having your kids track their daily behavior. You might need to track just one behavior. Those pages are included as well! If you have an idea for a page you don’t see, you can ask about it via Q&A here and I will do my best to add it and get back in touch with you.